Not everyday is sunshine and rainbows and certainly my mood can be anything but positively radiant from time to time. No one needs to know on the outside though, right? 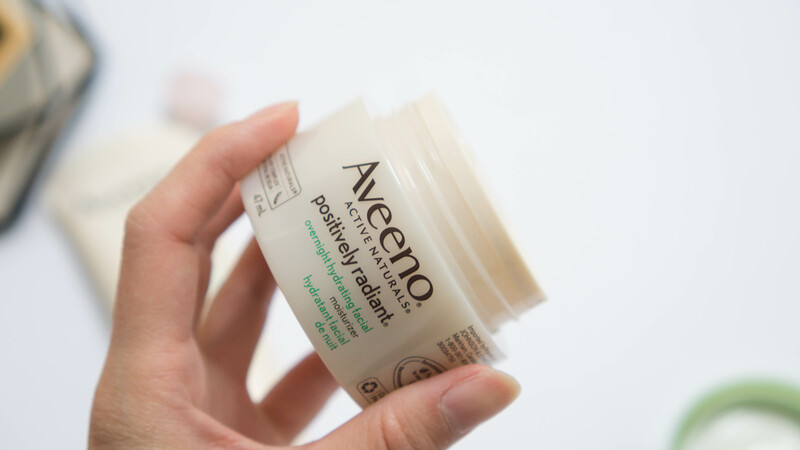 😉 I was sent two products to try out- Aveeno Positively Radiant 60 Second In Shower Facial and the Positively Radiant Overnight Hydrating Facial. 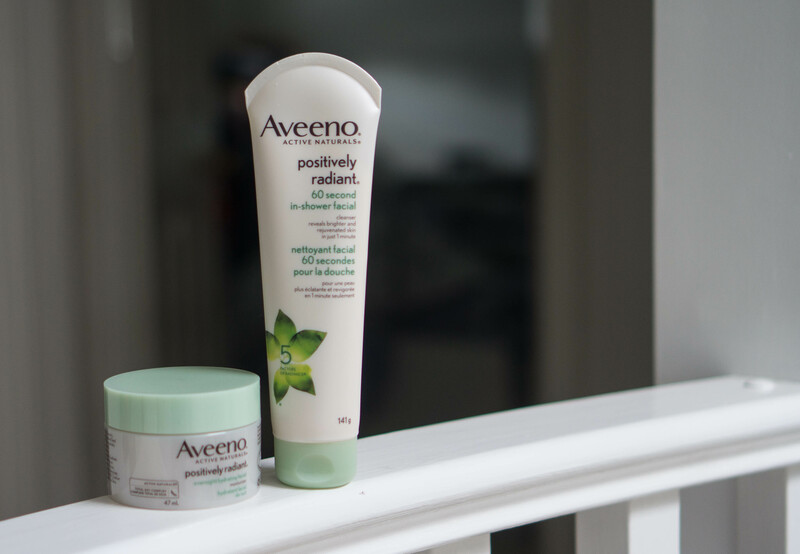 Before using more high end skincare products, I used to use Aveeno as their quality for the price was always decent. Both of these products are meant to add convenience in your life if you have no time for your regular skincare regime and I love the idea of them! I’ve been using sleeping mask for years now; I started with Laneige’s sleeping mask after watching way too many korean dramas. The sleepiJng mask trend has been in North America recently (am I wrong?) as I only started trying out non Korean brands last year. The Positively Radiant Overnight Hydrating Facial uses ACTIVE NATURALS Total Soy Complex to hydrate and nourish the skin so one can wake up with a radiant, healthy glow. Soy has been used in traditional Chinese medicine to reduce blotchiness and discolouration. My skin has cleared up a LOT during the winter time, so I can’t attest whether or not any blotchiness disappeared, but using this overnight, my skin felt soft when I woke up. It’s also fast absorbing so there was no worries about face planting on my pillow at night. However, there are silicones in the product, and Dimethicone is listed 3rd on the list. Though the project is hypo-allergenic, there is also fragrance in the Overnight Hydrating Facial and I personally found it too heavy. 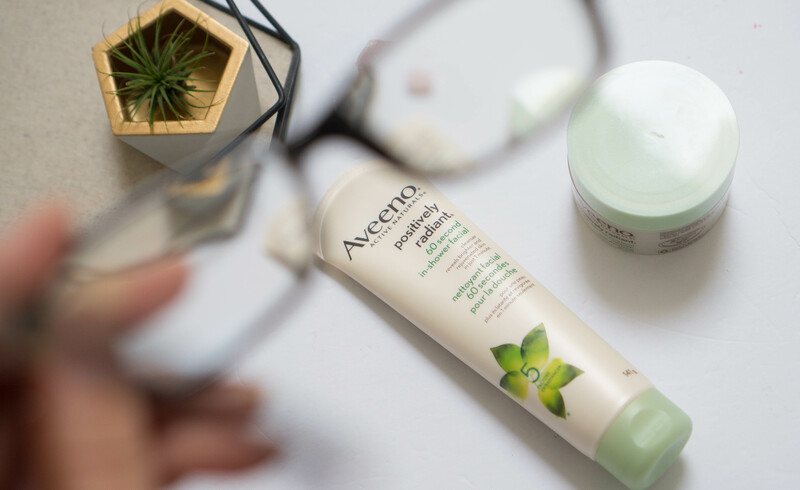 Between my regular moisturizer routine vs using the Positively Radiant Overnight Hydrating Facial, I prefer choosing my moisturizers. The Positively Radiant 60 Second In-Shower Facial is currently in my shower caddy and will not be removed until finished. The exfoliator contains soy and lemon peel extract and uses the steam of the shower to open pores (so I guess if you take cold showers this product may not work for you,) to deeply but gently exfoliate dirt, oil, and dead skin cells. It also contains glycolic acid- though it is not listed what is the percentage of it. To use it, apply the product on your damp face in the shower and leave product on for a minute. Use the product 1-2 times per week. 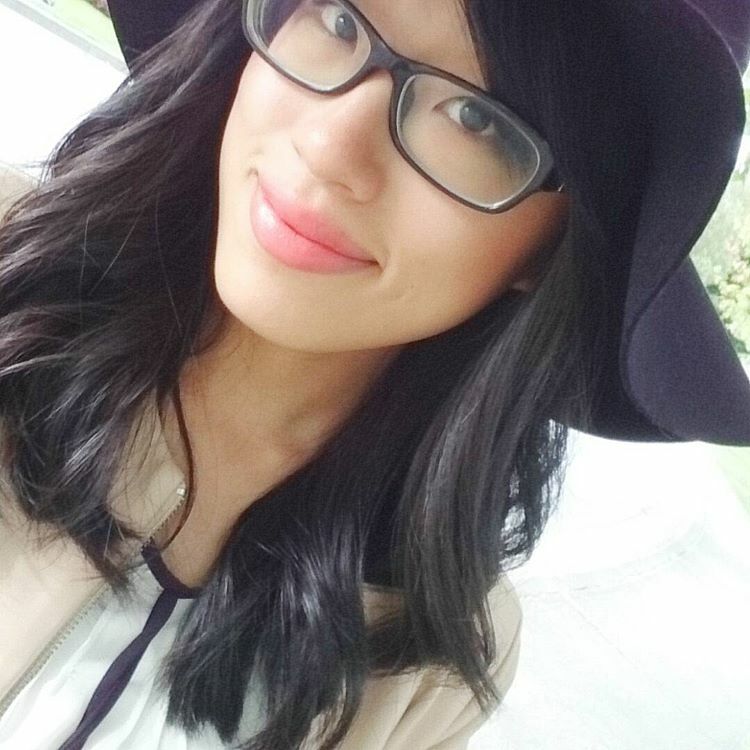 My skin didn’t feel dry after coming out of the shower (but never skip the moisturizer even if you feel like you don’t need it!) The formula is indeed gentle and not gritty. When I am feeling lazy, sometimes I use my regular exfoliating products in the shower too – though I am not sure if it was less effective or not, it is nice to have a dedicated “in-shower” facial. Using the 60 Second In-Shower Facial helps me skip a step and I just pop on my serum/moisturizer which cuts the time of my my nightly skincare regime. Overall: The ingredient of soy to achieve radiant and healthy looking skin is different from my other skincare products. The Overnight Sleeping Mask is comparable to other products I love, but I am a huge fan of the 60 Second In-Shower Facial to save my time at night. 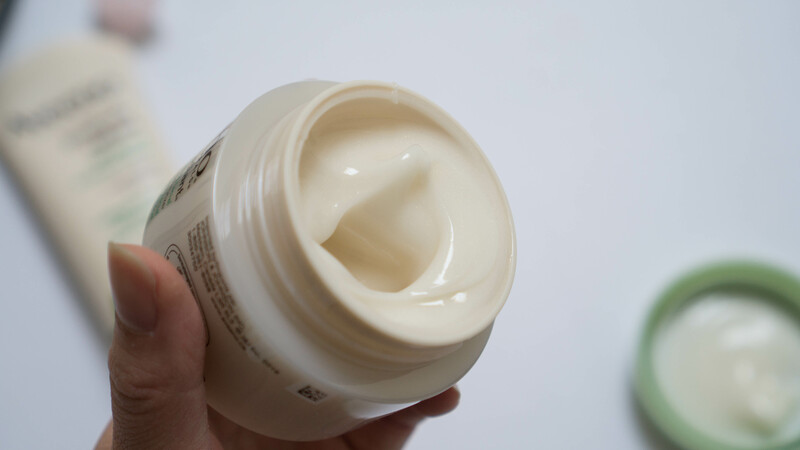 What’s your favourite type of ingredient used in skincare products?